Kyoto is beroemd om de oude hoofdstad van Japan te zijn geweest, dateert meer dan 1200 jaar. De pure schoonheid van de tempels, heiligdommen, tuinen en cultuur doordrenkt binnen, maakt Kyoto een van de meest vereerde plaatsen in de wereld. Bairin-an (Plum Grove) is een eenheid van Kyo Machiya Miyabi in het Kiyomizu-gebied, een groot traditioneel huis in Kyoto, en is ontworpen door de beroemde architect uit Kyoto, Geoffrey P. Moussas. Bairin-een wordt zorgvuldig bewaard gebleven met de traditionele technieken die zijn overgeleverd door de eeuwen heen. Terwijl het vasthouden aan de traditie is van belang voor de architect, het bijwerken van de faciliteiten, zoals een lekkere douche, high-tech toilet, keuken, vloerverwarming, zijn net zo belangrijk om de huidige behoeften van onze selectieve clientèle te voldoen. Het delicate evenwicht tussen 'oud en nieuw' is wat dit apart. Bairin-een is aan de voet van Kiyomizu Temple, die is aangewezen als werelderfgoed, en is erg handig voor een bezoek door loopafstand vele andere beroemde tempels, heiligdommen, het centrum, en Gion, de meest beroemde wijk Geisha! Geniet van Kyoto en de onderscheidende kenmerken van de lokale rijtjeshuizen door een verblijf in een echte Machiya, het voelen van de natuurlijke manier van leven en de verandering van de seizoenen, die Kyoto 's cultuur en de mensen onderscheidt. Stadsbussen of huurfietsen kunt u naar de meest beroemde bezienswaardigheden in Kyoto binnen 30 minuten. In Sanjo-Kamanza gebied andere 2 aanbiedingen: Shimoza-een VRBO # 514790 & Kamiza-een VRBO # 514588. In Aneyakoji-gebied andere 2 aanbiedingen: Kaede VRBO # 1077968 & Satsuki VRBO # 1077956. US $ prijzen alleen ter referentie. Bagage achterlaten voor de check-in tijd (na 11.30 uur) is beschikbaar, aarzel niet om ons te vragen of je het nodig hebt. Laat het ons weten als u later dan 20.00 uur arriveert. ※ Als u incheckt, dient u accommodatiebelasting te betalen van de overheid van Kyoto. Deze toeristenbelasting is niet inbegrepen in de huurprijs van het huis. Gelieve contant te betalen. De belastingheffing is afhankelijk van hoeveel u hebt betaald voor uw huurprijs. Als uw huurprijs lager is dan 20000 JPY per persoon per nacht, is de belasting 200 JPY per persoon per nacht. Als uw huur 20000 JPY is tot 49.999 JPY per persoon per nacht, is de belasting 500 JPY per persoon per nacht. ※ Laat ons het aantal mensen correct weten. Als het aantal personen afwijkt van het aantal waarmee u daadwerkelijk boekt, brengen wij u extra in rekening. Persoon die niet is geregistreerd voor accommodatie moet afzien van overnachting in de kamer. Aarzel dan niet om te vragen om ons voor eventuele vragen. 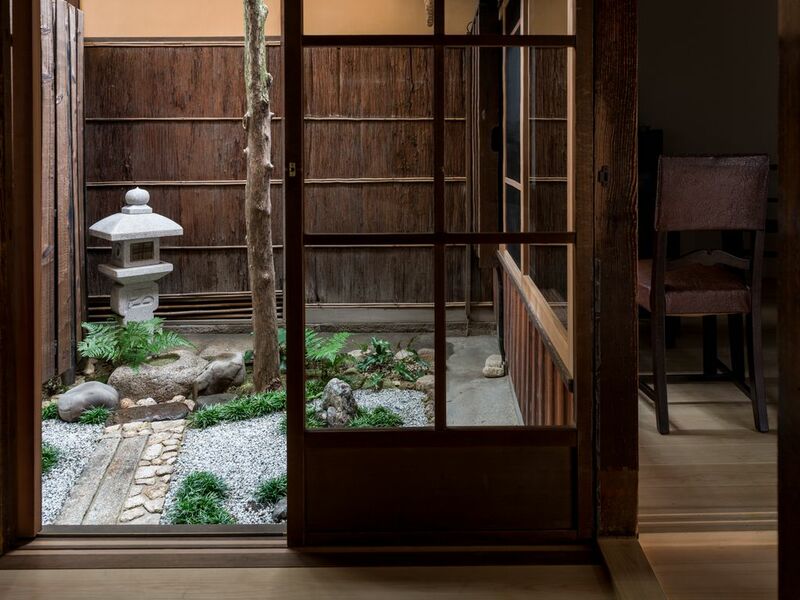 Perfect retreat for 2 in kyoto. There are rules about no noise after 10 and early in the am. However what constitues "early in the am" as their is a house above and i was woken up at 8am by their noise. To me 8 am is early. However if u are an early riser this should be ok. However the noise starts ar around 8am, i hear the neighbor and a dog barking non stop. The check in time is 4pm and check out at 11am. If you are only staying for one night this might be a bit short and not worth it. I recommend asking for early check in and they may accomidate , as was done for me and i checked in at 1pm. Also they respond rapidly during the day via messages not phone yet after the office closes u are on your own for any issues. Location is super convenient to Kiyomizu Temple and its surrounding walks. Bairin-an is a renovated machiya home on the first floor, consisting of 6-tsubo sleeping / living space, a full ball, a small kitchen area and washer/dryer. All the amenities met our needs. The host responded to all our email inquiries before and during our stay promptly, and delivered extra pillows upon request within just a few hours. Thank you! Thank you very much for taking a time to review our house. your comments are really valued, we appreciate those nice, detailed comments very much. and we are pleased you found value and hospitality during your stay. We look forward to seeing you again on your next trip to Kyoto! You can't beat the location in Gion. Absolutely well placed. If you are over 5'6" be prepared to bow a lot. The Nespresso was very nice. The shower is great and the kitchen has a western style table. Best for a couple, not a family. It's easy to go anywhere from here and in a hip area. We would go back, but then again the world is a large place and we never return. Thank you very much for your such a nice and detailed review, your comments are very much valued. Because of construction of traditional Japanese house, I really appreciate especially the comment about "preparing to bow a lot". By mentioning this we will be able to making our guests not hitting their heads. We are always happy to welcome you Tim. We look forward to seeing on your next jourmey to Kyoto. We had a wonderful stay at the house. Very clean with all important amenities. It was conveniently located near the bus stop, grocery store, historical places, restaurants and in a peaceful neighbourhood which isn't too far from all the action. Mariko was extremely helpful to us from the time we arrived to the time we left. Perfect Machiya! In the heart of Kyoto! My first time traveling to Kyoto and staying in this machiya was the best idea. So close to so many attractions, restaurants, market, etc. The owner was so nice, waited for us until we arrive to the machiya. Didn't expected for the futons to be so comfortable and we slept so well. Will definitely be returning and staying here in the future. The suite takes up most of the lower floor of a 2-storey traditional Japanese wooden house. 390 sq ft, consists of a tatami room for sleeping on futons, small kitchen with stove, fridge, microwave, small table and chairs for 3, private garden, hi-tech toilet, shower room with washer/dryer. One suggestion - the table in the kitchen is a little small, while there is enough room for a larger table to allow for using a laptop at the same time that another is using the table as well. The suite was comfortable and well-laid out. Perfect for 2, but could fit 3. There was plenty of storage for bags and jackets. The futons were comfortable and we slept well. There was some noise from the street but due to the location on a quiet side street, this wasn't an issue. We could hear the emergency vehicles from the fire stn 1 block away, these didn’t disturb us. The noise from other tenants was more of an issue. At one point during our stay a noisy family was occupying the suite above us keeping late hours and early rising, often yelling between floors. We had to use earplugs to sleep during this period. Other guests were more considerate and less noticeable. The suite was clean and well-appointed. Housekeeping came weekly and were efficient and thorough. Air-con and the under-floor heating in the tatami room, kitchen and shower was very nice! We arrived late, but were able to find the location by giving our taxi driver the map sent to us. The instructions for the key box were clear, we had no issues with orienting ourselves to the suite. We met the owner the next day and she was very friendly and answered all our questions. Throughout our stay she was available by phone. Checkout was easy. When we booked on VRBO, we found her responses quick and detailed. The location of the suite is perfect! The only detraction from the location is the distance from the nearest subway. It is in a perfect location for the traditional streets surrounding Kyomizu-dera. There are also many other shrines and temples within a short walk. Nearby there are quite a few excellent places to eat, and the pottery places are amazing! Bus and taxi is within a couple of blocks. Kyoto station is a short taxi or bus ride away. There are a number of options for groceries in vicinity. Wifi worked very well. TV has only Japanese stations. Land-line allows for toll-free calling throughout the area. Our stay here was so perfect - we have such excellent memories of this beautiful place! Er zijn meer dan 800 tempels en heiligdommen in de stad.